Blue cheese, honey and spices combine to create a savory mustard that makes an ordinary burger extraordinary. 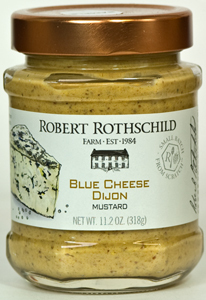 Who knew that blue cheese can elevate a mustard to such heights? 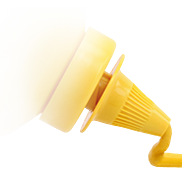 Ingredients: Mustard Seed, White Vinegar, Water, Honey, Blue Cheese (milk, salt, cultures and enzymes, disodium phosphate), Salt, Spices, White Wine, Citric Acid, Tartaric Acid, Natural Flavoring.